What would you say if we told you, you could reserve your spot on the lanes NOW and pay in venue LATER?! Over here at ZONE BOWLING, we have been working hard in our mad scientist laboratory to perfect the easiest way to book now and pay in venue later. A bit of this, a lot of that and voila, it’s ready for you to use . 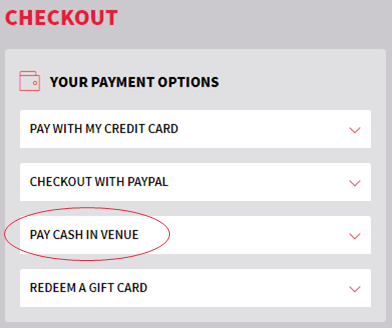 This means that you can now book online, hit the Pay in Venue button, then rock up to our venue and pay on the day. Can I get a whooohooooo? Step 1: Click here to start your booking >> this is where you need to choose the date, time, how many players and how many games you would like to play. Keep an eye out for our awesome deals, as they may up the ante on your ZONE BOWLING adventures. Step 3: Bring a digital copy of your reservation into venue and pay the total amount using cash or card… and the rest is history! Now back to the lab, we have more awesome deals to cook up! *Not available for eat.drink.bowl, Bowl up an appetite, Bonus Bites deals or when a partial payment with a gift card in made.